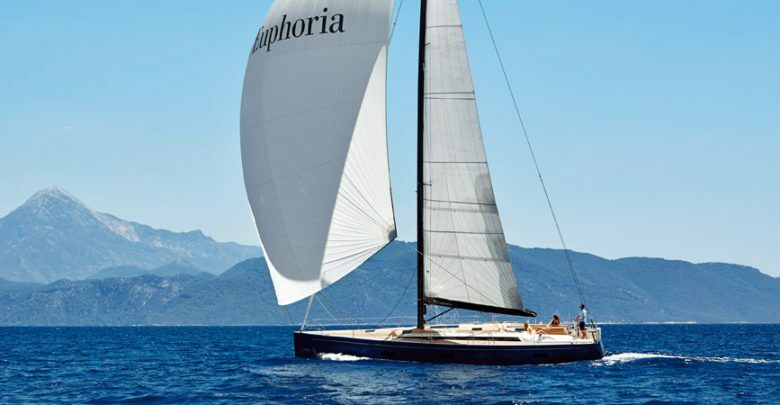 The Euphoria 54, the firstborn in the Euphoria range designed by German Frers, is now available in a new twin rudder version. The dominant feature of the deck is a deckhouse with long, slender windows uninterruptedly connected with the forward part of the deck to create a central free area all the way up to the companionway. The cockpit, closed at the stern by a large opening control panel, is protected by high sea breakers extending up to the stern wheel. Easy sailing is guaranteed by two winches at the helmsman’s fingertips at the bow of the helm station. The interiors have been designed in collaboration with Design Unlimited with a layout including three very spacious double cabins and three bathrooms, and permit addition of a crew cabin. 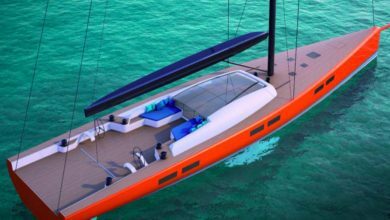 On display here at 2018 Cannes Yachting Festival there is also the Azuree 46. Everything is designed to ensure greater comfort and safety when onboard. 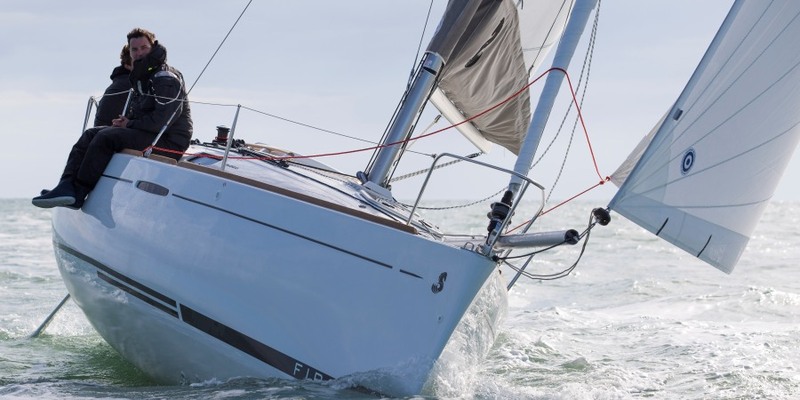 For many yacht owners, having a sailing yacht with a recognizable performance is a part of their lifestyle. For the majority, sailing is also about the simple joys of just relaxing and enjoying life on board. Having the best level of comfort while at anchor is as important to them as sailing a beautifully balanced, responsive yacht, be it day sailing over a weekend or the adventure of long-distance passage making as part of their potential itinerary. Azuree 46 can successfully deliver all of these requirements. Azuree 46 has a great competitive advantage in the cockpit area as foldable cockpit seats transform into day beds for sun bathing or additional berths for sleeping al fresco at night. This provides comfortable outdoor living both at anchor and during passage making. It can be easily said of the Azuree 46, that her wide cockpit volume offers flexible and adaptable combinations of use. 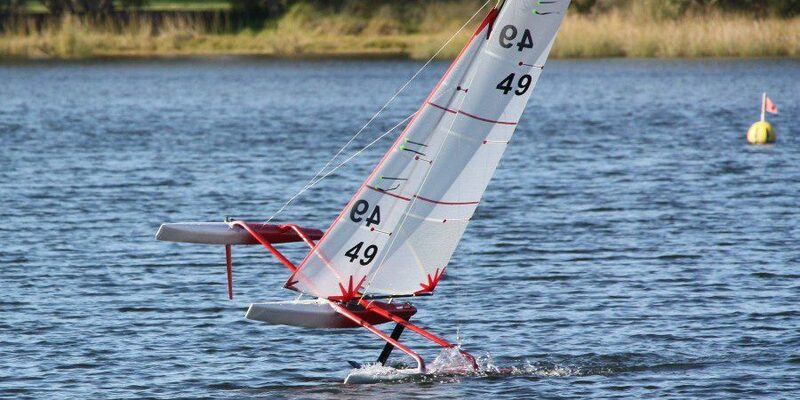 Azuree 46 is easy to handle by the shorthanded cruising sailor. Manoeuvring with the German mainsheet system and non-overlapping jib enables easy and precise handling even with the smallest crew. Safety and comfort is ensured by the large and ergonomic cockpit area.